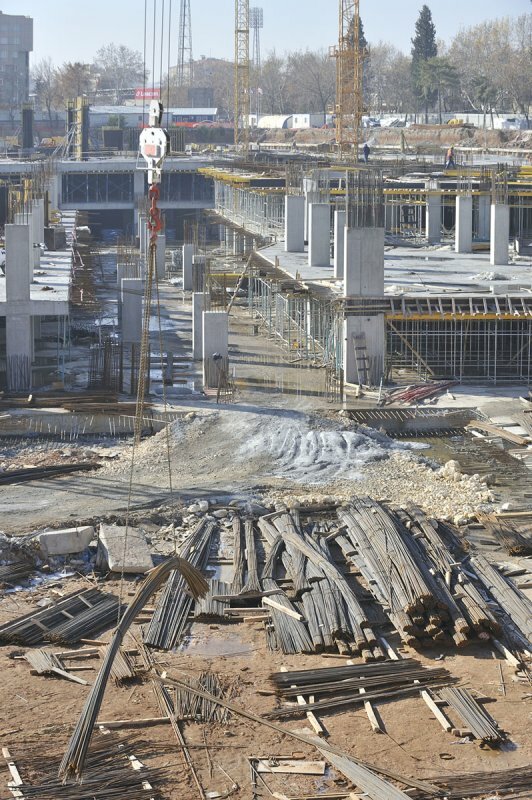 These are pictures of a shopping mall under construction, opposite the museum, which is to be finished in 2009, the Forum Gaziantep Alışveriş ve Yaşam Merkezi. I took the pictures with kind permission of an engineer of AVM inşaatı. Impressive activities.